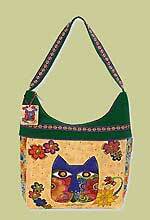 The Willow bag pattern is a barrel shaped bag which is cut in one piece so there are no difficult corners to sew. 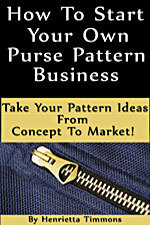 There are elastic pockets at each end, internal pockets, and a long shoulder strap. 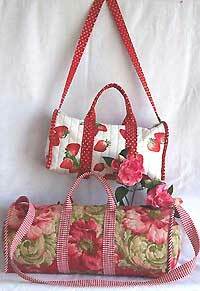 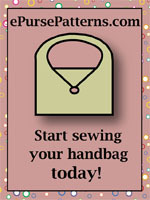 There are 2 sizes of finished bags, 7" x 15" and 8" x 20".